As Carl Sagan once said ~ “The Earth is a very small stage in a vast cosmic arena, a lonely spec in the cosmic darkness “ but I maintain that lonely spec in the cosmic darkness is an integral part of something far greater than ourselves and love is the door we must open to experience this universal state of soul consciousness and that it can only be truly experienced through the joy of heart felt service. 2014 has been a year of service for me as a heart centered spiritual consultant and advisor particularly to young combat veterans of Iraq and Afghanistan who were taught to kill and in the process forgot their deeper need to love and cherish life. It has been immensely satisfying and I feel totally in sync with my destiny for I am empowering others by sharing my truth from an egoless place of inner joy, gratitude and service. This view of twilight sky and Martian horizon, taken by NASA's Mars rover Curiosity, includes Earth as the brightest point of light in the night sky. Earth is a little left of center in the image, and our moon is just below Earth. A human observer with normal vision, if standing on Mars, could easily see Earth and the moon as two distinct, bright "evening stars ." 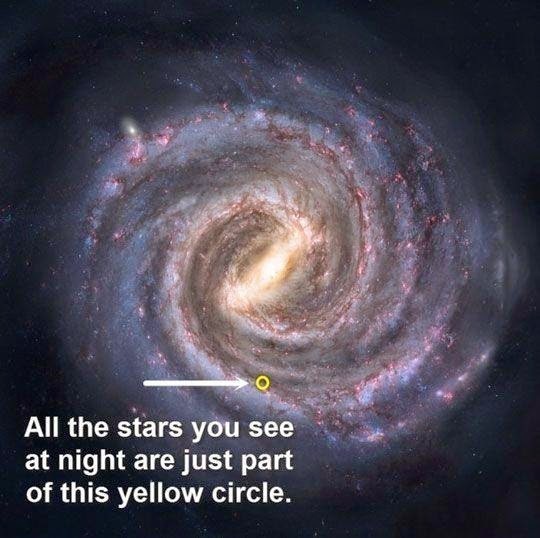 Whenever I see a picture like this I am deeply humbled and I realize that my life's purpose on this small stage in this vast cosmic arena is profoundly obvious and simple. My life's purpose was to find, prove, live and share the truth of a Unified Field of Love and Soul Consciousness that exists not only beyond time and space but also beneath our deepest fears. I actually have an early deep almost primordial memory of being part of a vast cosmic dimension which was seemingly beyond comprehension. 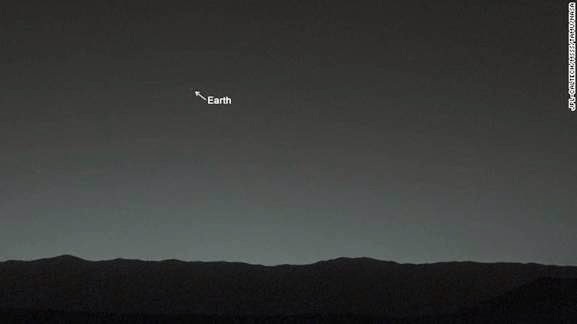 It may have been a womb memory but the feeling was that I was part of something beyond vast and incomprehensible ~ somewhat similar to what you may be feeling now when you see this picture of Earth from Mars. For almost 40 years I have been demonstrating that there is no true healing without love and that the very act of surrendering to love is the first step towards inner transformation. You don't need to see a therapist to understand this phenomenon, you don't need to attend a workshop to see this magic in action ~ all you need to do is see and understand your life as a quest, versus a struggle, to realize that not only are we all loved but that we are all part of a loving plan in action and gratefulness is the key to this magic kingdom ~ God only reveals itself to a grateful heart. In my work as a heart centered transformation consultant and advisor, I rapidly point out the people who have loved you in your life (grandparents, parents, siblings and others) on a life chart and ask you a simple question ~ have you thanked them? In my experience, most people have only thanked about 10 to 20% of the people who have truly touched and loved them in their lives ~ usually because of issues of unworthiness as well as shame based guilt. Their homework is to start thanking them and telling them why they were a gift in their lives. For active duty veterans, this can include their buddies and comrades, for veterans form life-time loving bonds with the people they have faced life threatening situations with. Once they start thanking people, their hearts begin to open and they start seeing through different eyes ~ eyes unclouded with unworthiness, shame and guilt. As a transformation consultant, my job as their coach and mentor, is to help them go through their fears by using gratefulness as their heart centered tool of choice. Once they have thanked these people, they share their life chart with those people closest to them in the same spirit of gratefulness and now joy. It would appear that the pain of not feeling loved for oneself and being seemingly separated from our original state of soul consciousness and the Unified Field is of such deep psychic proportions that, early in childhood, processes are triggered in the hypothalamus which result in a left brain imbalance and dominance as well as the denial, mistrust and forgetting of our connection to the Unified Field and the love and joy and a state of soul consciousness deepest within us. It is from this dark tunnel of pain, aloneness, despair and apparent death that the ego and ego consciousness is born - for survival and protection purposes only. As such, death or the idea of death, is an illusion measured by the limits of our consciousness. Think of the ego as a protective cocoon that is eventually meant to be shed. The Unified Field can be visualized as a grid of great luminosity joining all living beings within its energy field of love. The words of Longfellow would seem appropriate in describing this all-encompassing field or grid: "The thread of all sustaining beauty that runs through all and doth all unite." This is why most people are not afraid of their pain, most people are living in pain ~ what most people are afraid of is their deeper joy because they feel it will eventually be taken away or lost ~ as it seemingly was as a child or in relationship. Once my clients sense that beneath their deepest pain and fear is joy, intention and purpose ~ their ego is no longer needed for protection and begins to slowly unravel as celebration and service become more important for survival. Celebration ( Why am I laughing and crying at the same time ~ what is this deep joy and excitement beneath the sadness and it doesn't have anything to do with someone else. It's me! I'm finally trusting my deepest feelings and a growing sense that everything is going to be all right. Quite simply, I meet and touch them, as their mentor or consultant, at the celebration and service stage and rapidly help them accept and connect their pain (through the life chart) and eventually guide them to surrender, celebration and service ~ always using gratefulness as well as forgiveness, as the primary tools. It's a spiritual Revolution and it took another step forward in 2014. There are sleeper cells in every nation, every state, every county and neighborhood ~ it's alive and growing and it cannot be stopped. We are slowly creating a soul based World Order where our minds are driven by our hearts, social cooperation and altruism (the innate driving forces of Evolution) and not by the ego's need to dominate and control.